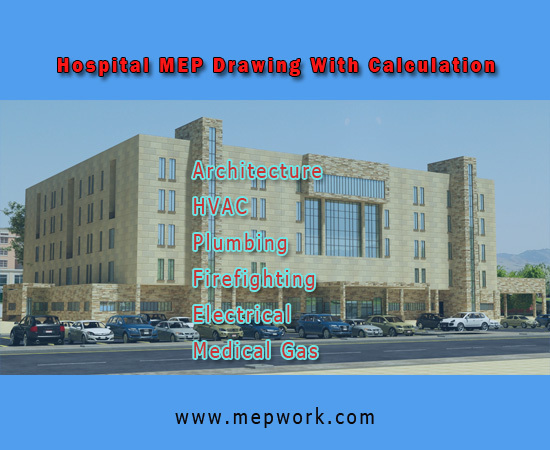 Download all MEP drawing for hospital project. Autocad dwg files for Arar Central Hospital, it is a public healthcare organization, in Arar, Saudi Arabia. MEP WORK exclusively presents the hospital project for MEP engineers. The project include architecture, HVAC, firefighting, plumbing, electrical and medical gas drawing with design calculation.